I wi ll buy this product again . Nice as gifts!! Needed something for deep frying. I have an electric deep fryer but it's too big. This will be easier to use. I tried one of the other brands of this item and the lid crumbled into my meal while I was cooking at a low heat. I returned it and bought this one here and it is perfect. I have fried in it, baked in it, boiled in it. It just keeps on going. 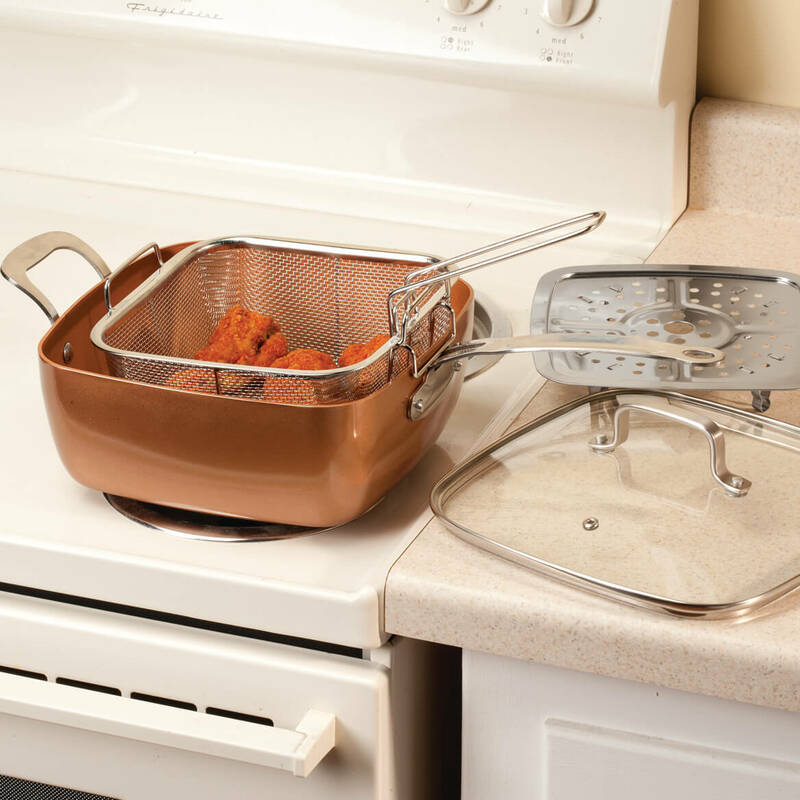 I highly recommend this Copper Cookware Pan. My husband's brother has one, and raves about it. My husband fries bunches of stuff, and he believes this will help in eliminating some of the splashing grease. This will be his Christmas present. always wanted a set of these! so glad I found them here at Miles Kimball! BEST ANSWER: depends on what i'm cooking chicken iuse approximately 1/3 c fried potatoes 1/4 cup this is a great pan i love mine!! 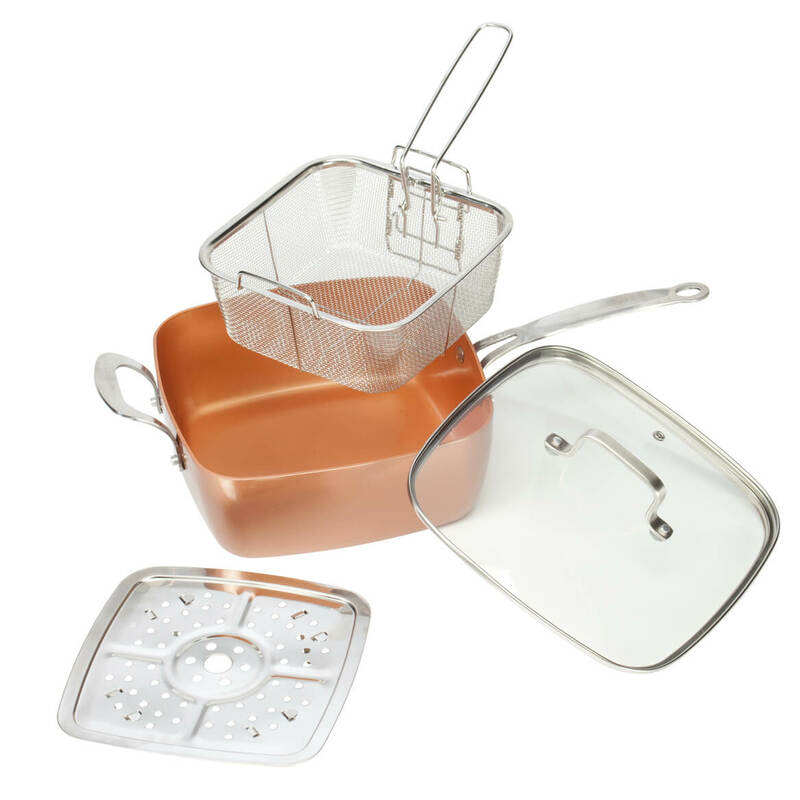 Can 4 pc square copper cook set be used on induction surface? BEST ANSWER: Thank you for your question. No, these will not work on and induction surface. We hope this information will be of help to you.